On February 4th 2010 at 12:00h has been held the meeting with Ministry of Health to state the situation of Multiple Chemical Sensitivity sufferers in Spain. Mr José Martínez Olmos, Secretary General of the Ministry of Health, Mr Alberto Infante Campos, General Director of Professional Planning, Cohesion of SNS and High Inspection and Mr Francisco Valero Bonilla have attended to the meeting representing the Ministry of Health. One person by almost each MCS association has attended to the meeting and also Jaume Cortés, lawyer of Colectivo Ronda, and Dr. Pablo Arnold, immunologist specialized in MCS. Also a copy of Desaparecida: Una vida rota por la Sensibilidad Química Múltiple (Missing: A life broken by Multiple Chemical Sensitivities) has been hand delivered on behalf of Eva Caballé, who couldn’t attend to the meeting, as an example of what MCS sufferers have to go through in Spain. The meeting with Ministry of Health has meant an agreement on minimum standards by the Ministry, but a big hope for all MCS sufferers. Representatives of Ministry of Health have committed to contact MCS associations within 2 weeks to jointly agree on experts to form a Scientific Committee to create a document of consensus on the MCS. They have stated that this is the first step to make possible the inclusion of the MCS in ICD-10, i.e. its official recognition as disease in Spain. They have demonstrated that later there would be necessary to start creating the guidelines. All people who have been part of this process are thrilled by the result of the meeting, because doors have opened us to obtain the recognition of the Multiple Chemical Sensibility in Spain and to achieve that MCS sufferers have the same rights as the other chronically ill people. Few days ago I discovered that my blog had some visitors from this Japanese website, a blog done by Prof. Masumi Yamamuro of Tokyo University. When I read this post, I discovered that it was my article “The Naked Truth about MCS” in Japanese and they mentioned that it had been translated by Citizens Against Chemicals Pollution (CACP) and I decided to write them. Takeshi Yasuma, from Citizens Against Chemicals Pollution (CACP), explained me that he found my article at The Canary Report and he immediately translated it into Japanese with the subtitle “Cry of Spanish MCS Patient’s Heart”, because he was very impressed by it. He published the Japanese version of my article in Citizens Against Chemicals Pollution website last August and also in the September issue of their monthly newsletter. I also asked him about MCS situation in Japan, and now, with his permission, I post the part of his email where he explained it and I also reprint CACP’s mission. On October 1, 2009, the Medical Information System Development Center (MEDIS-DC), a subsidiary organization of Ministry of Health, Labor and Welfare (MHLW) published the revised list of ICD-10 Japanese Standard Disease Code Master in which MCS is categorized in T65.9: Toxic effect of other and unspecified substances / Toxic effect of unspecified substance. It has been now clearly recognized in Japan that MCS is NOT a mental disease but a physical disease. This decision is welcomed by MCS patients and their supporters and they expect the possible coverage of MCS by health insurance, but so far it remains uncertain whether or how it will change. Patients and their supporters will take actions for calling on Japanese government to give urgent supports for MCS patients including coverage of MCS by health insurance, strengthening medical services, financial support for livelihood and provision of safer houses. On October 31 at Tokyo, we will hold a MCS symposium celebrating the recognition and calling on Japanese government to take further measures for MCS. To provide information to the public and take action necessary for protecting human health and environment from harmful chemicals based on Precautionary Principle and Environmental Justice. To issue monthly newsletter [PICO]. To issue weekly mail service. To provide information at our website. To publish books and booklets related to environmental health. To propose our policies to the Japanese Government and local governments. To hold seminars for citizens on protecting human health and environment. I want to thank to Takeshi Yasuma for translating my article, for letting me publish all this information about MCS in Japan and also for asking me to write a message to MCS patients and their supporters to be presented at the MCS symposium. It will be an honour to me! Post translated into Japanese by Takeshi Yasuma and published at Citizens Against Chemicals Pollution website (October 7, 2009). Post linked at The Canary Report (October 8, 2009). Just like Germany, Austria is now classifying Chemical Sensitivity / MCS – Multiple Chemical Sensitivity as a physical disease under the code T78.4 of the ICD-10 (the register of diseases). The news comes from a recent letter by the Department of Health of the Austrian Government. Chapter 19 (Injuries, Intoxication and certain other outcomes), Article T66-T78 (Other and unspecified injuries caused by external causes). In response to your letter dated 4/14/2009 to the Minister of Health Mr. Stoerger, we inform you that the WHO ICD-10 Code modified for Germany from DIMDI is used in Austria as well. It should be emphasized that the German Institute for Medical Documentation and Information (DIMDI) declared explicitly that there is not any allocation of MCS in Chapter 5 (Mental and behavioural disorders) of the ICD-10-GM. Thus, the debate about MCS as mental illness is at an end. In Germany doctors who document the diagnosis and the hospital administrations work under the Social Security Code V, which states that the diagnoses have to be made according to the systematic list of ICD-10-GM. Thus, the ICD-10 classification is legally binding. 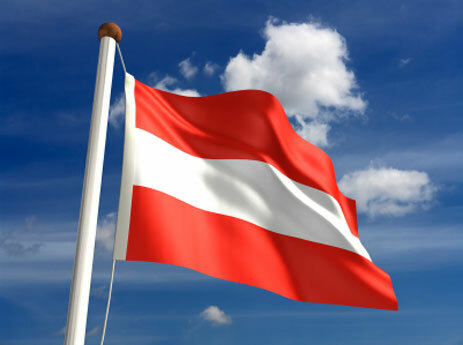 The Department of Health of the Austrian Government refers in the letter that MCS – Multiple Chemical Sensitivity is recognized in Austria as a physical disease, because also there it will have the code T78.4 in the ICD-10. 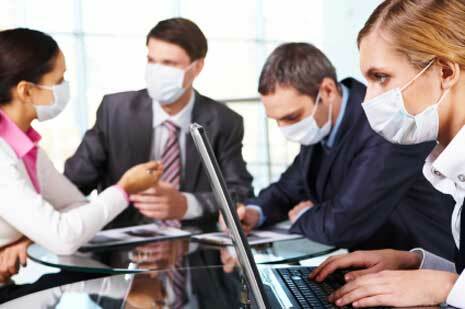 Bundesministerium für Gesundheit, Chemikalien-Sensitivität / MCS – Multiple Chemical Sensitivity (ICD-10 T78.4), 24.06.2009, Wien, Österreich.